After what feels like an eternity, Lil Wayne and Birdman's financial dispute appears to have run its course as Weezy has reportedly won big with a settlement worth over $10 million. With Juelz Santana confirming recently that his long-awaited collaborative project I Can't Feel My Face with Wayne has been completed, the last few days have been full of promising news for fans of Wayne's music. The New Orleans rapper's lawsuit against Birdman and Cash Money seemed to have been dragging on but alas, it looks like a resolution has finally been reached as The Blast is reporting that both sides have reached an agreement. Lil Tunechi was victorious in the suit, walking away from it all over $10 million richer and free from his Cash Money contract. Court documents have revealed that papers were filed on May 23 stating that all sides were ready to dismiss the lawsuit and agree to a settlement. 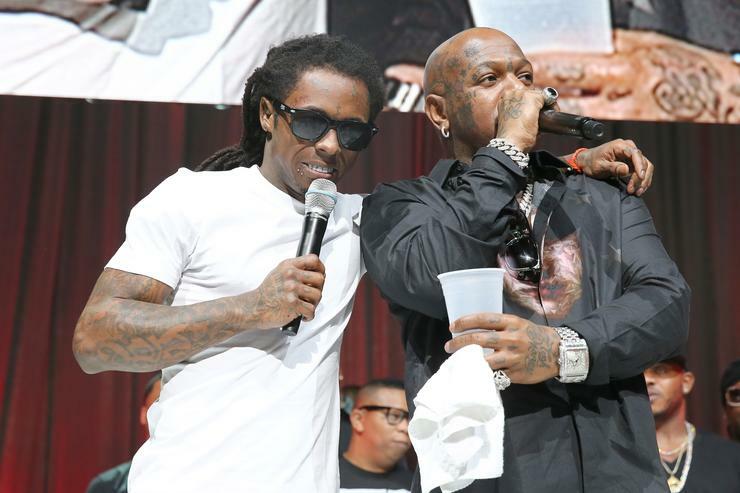 Wayne was reportedly granted upwards of $10 million and, though the exact amount is unclear, none of the money came from Birdman as Universal signed the check. Lil Wayne is now out of his problematic contract with Cash Money, leaving him able to release his Tha Carter V project with Universal.